Arthur Llewellyn Jones Machen (1863-1947) was one of the most celebrated of writers of supernatural and occult fiction in the years before the Great War: The Great God Pan (1894), The Three Imposters (1895) and The Hill of Dreams (1907) are perhaps his three most famous works. For an evaluation of his fiction, see the Encyclopedia of Science Fiction. During the Great War he was a reporter on the London Evening News, in which he published his story “The Bowmen”: it is on the basis of this story that he is included on this website. The story of “The Bowmen” is to be found under War Experiences. Machen was born in Caerleon in Gwent (south-east Wales), and grew up there and in nearby Llandewi Fach, where his father John Edward Jones was rector. I am a citizen of what was once no mean city … this city was Caerleon-on-Usk, once the splendid Isca Silurum, the headquarters of the Second Augustan Legion. And, then again, a golden mist of legend grew about it; it became the capital of King Arthur’s court of faerie and enchantment, the chief city of a cycle of romance that has charmed the world. […] Wonderful was it to stand in the evening on the green circle of the Roman amphitheatre, and see the sun flame above Twyn Barlwm, the mystic tumulus on the mountain wall of the west (quoted Valentine, 10). He took his surname from his Scottish mother Janet Robina Machen. He was at Hereford School between 1874 and 1880. Machen began writing as a child, and published a long mystical poem in 1881, when he was 18. In that same year (not long after his father declared bankruptcy) he moved to London, to try to establish himself as a journalist. He published translations of a number of works, including The Heptameron and the Memoirs of Casanova. In 1887 he married Amy Hogg; she died in 1899 after a long illness. Machen published some of his most memorable occult stories in the late 1890s, and joined a touring company of actors in 1901; in 1903 he married an actress in the company. Between 1910 and 1921 he worked for the Evening News. He had achieved a certain level of fame by his writings, particularly in America. 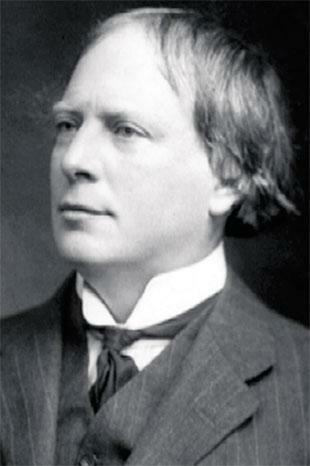 In 1918 an American journalist wrote a book about him: Arthur Machen: Novelist of Ecstasy and Sin. Martin Secker in 1923 produced all his major works in uniform editions, as the Caerleon Edition. The vogue for his books soon diminished, however, but he carried on writing essays, reviews and stories. He had lived in Central or Northern London since 1881, but in 1929 moved to a house at 48 High Street, Amersham, in Buckinghamshire, where he lived for the last eighteen years of his life. He achieved true renown for his fiction only after his death in 1947, particularly with the more recent flowering of horror and fantasy, in both of which areas he became regarded was a pioneer and a classic. One accolade—being published in Penguin Classics—he finally achieved in 2012. His entry in the Oxford Dictionary of National Biography was written by Roger Dobson. His own two-volume autobiography, Far Off Things (1922) and Things Near and Far (1923), never gets beyond 1901. Mark Valentine has written a useful study of his life and work: Arthur Machen (Bridgend, Mid-Glamorgan: Seren, 1995).